Like I said, chocolate and peppermint is the best combination. If you’re not much of a peppermint bark connoisseur you will probably taste a peppermint bark and think, “oh, that’s nice.” But if you’ve tasted more than a few you know there’s a difference. Let’s put them into three categories, shall we? 1. The “it’s hard like a rock” peppermint bark. This is clearly just some chocolate varieties melted and reformed into layers with some peppermint thrown on top. Still decent, and I’ll never say, “No thank you.” But, not quite what I’m looking for in a peppermint bark. 2. The “this is really boring” peppermint bark. Yes, it’s possible to make the peppermint bark too boring. Poor tasting chocolate and a bad peppermint flavor will do it. Also, peppermint bark should never consist of only white chocolate. 3. 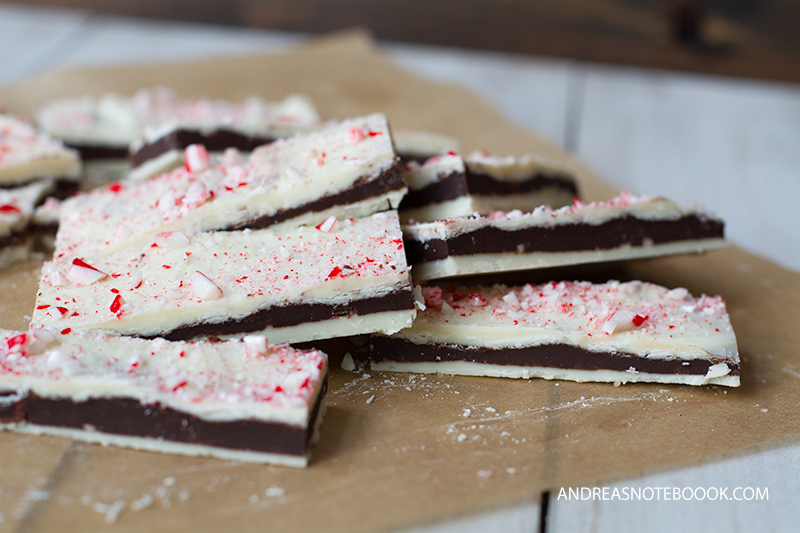 The “if I could only eat one dessert for the rest of my life I’d choose this” peppermint bark. I wish I could say this was an exaggeration. 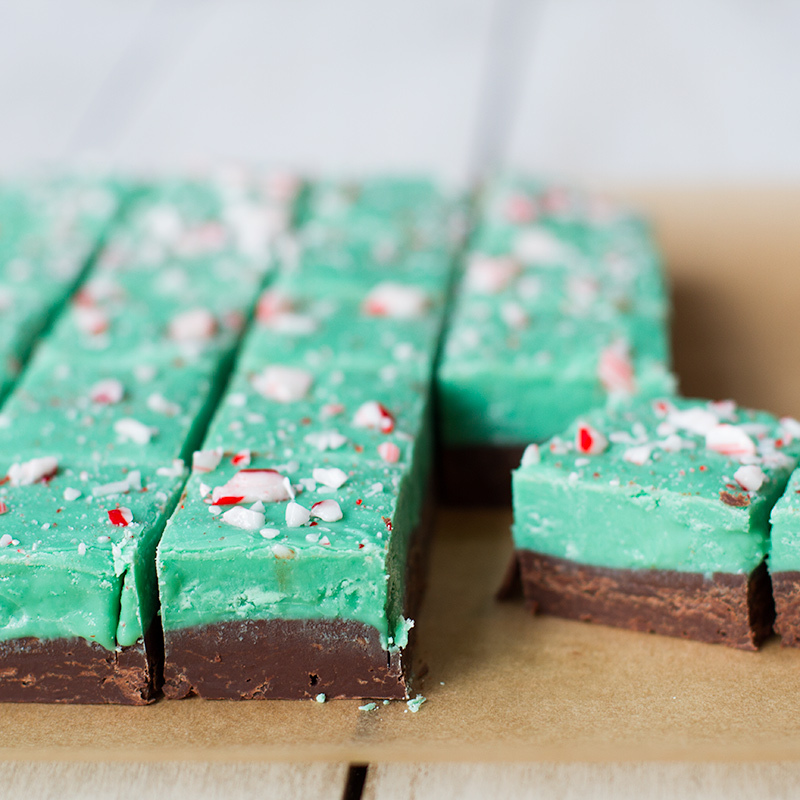 This peppermint bark is the perfect combination of soft and crunchy, sweet and creamy. It’s seriously amazing. If you’re looking for a peppermint bark of this variety, read on. There, just look at that photo and try not to salivate. If you’re worrying that surely this is a difficult recipe then you can stop worrying. This is really easy. There are three layers so it does take a little time but it’s not hard and it’s so worth it. In a double boiler, melt 12 oz of the white chocolate chips until 110 degrees F. No double boiler or candy thermometer? No problem! Take 2 sauce pans, one slightly larger than the other and put about an inch of water in the bottom of the bigger one. Put the smaller one inside the larger one. Make sure the water doesn’t touch the bottom of the small one. Heat the water on medium until it simmers. Put white chocolate into smaller pan and place pan inside larger one. Don’t stop stirring. Remove from heat when the white chocolate is ALMOST all the way melted. If you wait until it is all melted, you’ve gone too far and it will burn. Don’t worry, it will melt the rest of the way once off the stove. Pour white chocolate onto the baking sheet. Spread it evenly within the rectangle. Sprinkle 1/4 cup of the candy cane bits on top. Cool in refrigerator for 15 minutes while you do step 4. In a double boiler or a heavy bottomed pan over low heat, melt dark chocolate together with the cream and peppermint extract. Stir constantly. Chocolate can burn so do not over cook. Remove from heat once melted. Pour it onto the baking sheet and spread evenly. Cool for 25 minutes. Repeat step 2 with the remaining white chocolate. Spread evenly on top of the dark chocolate. Evenly distribute the remaining candy can bits on top. Refrigerate 20 minutes. 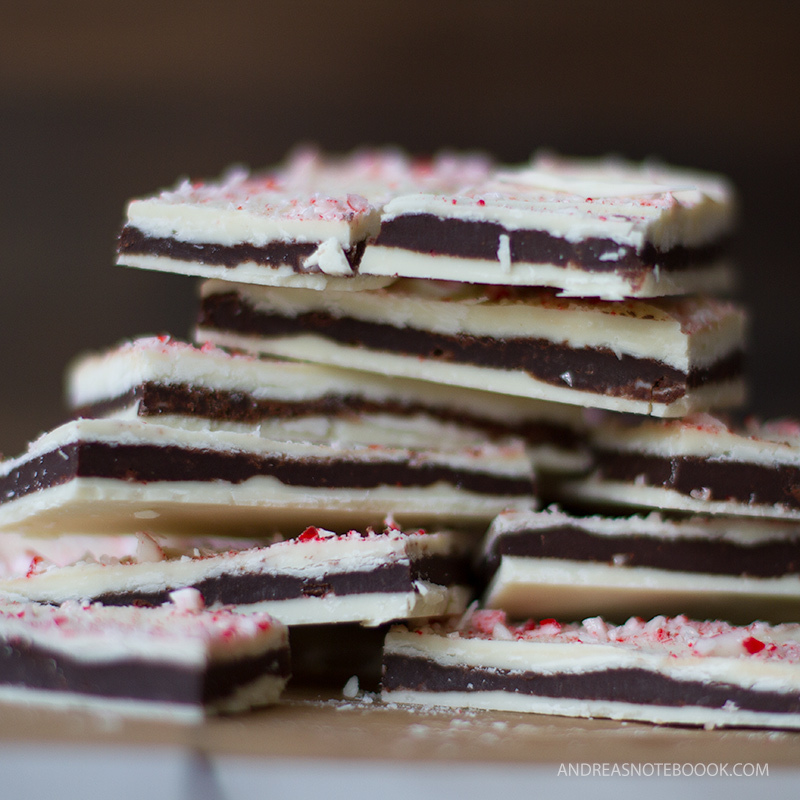 Cut the peppermint bark into squares and refrigerate to store. Can you please tell me if and how this can be converted to ladies pants, thanks. We had been all looking for this way online to get the print in screen. Wanna take on screenshot on various devices to capture your moments so this guide will help you with that. Thank you for sharing with us such an interesting post. It is very interesting and helpful. Also, I think many people will like it too. If you need a help with writing papers visit our web. We are always ready to help you!